Pesi Publishing & Media, 9781936128860, 203pp. 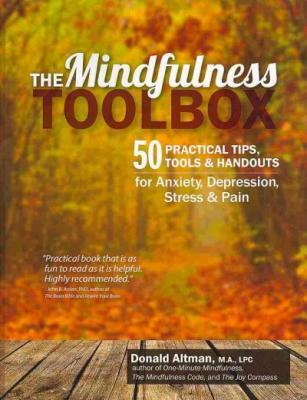 A Complete Guide to Mindfulness Tools for Clinicians At last, an authoritative book filled with mindfulness tools that deliver an essential set of engaging, practical strategies along with key research and evidence-based information. The awareness boosting methods in this guidebook offer participants a means of reappraising and observing negative and anxious thoughts, habits, pain, and stress in fresh ways that produce new insight, positive change, and a sense of hope. Featuring over 40 easy to use, reproducible handouts and expertly crafted, guided scripts-such as working with the breath, overcoming depression with here and now pleasantness, calming the anxious mind with sense grounding, expanding a client's strength narrative, the stress pause S-T-O-P technique, and meditations for peace, acceptance, and re-envisioning pain-this book is ideal for clinicians wanting to integrate mindfulness into their work.